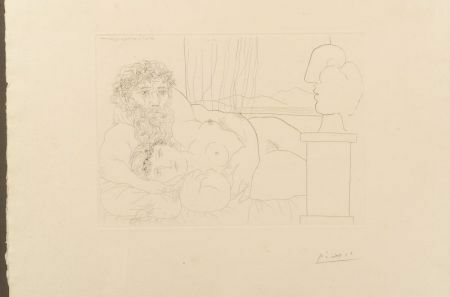 Le Repos du Sculpteur, I Plate Sixty-two from LA SUITE VOLLARD, 1933. 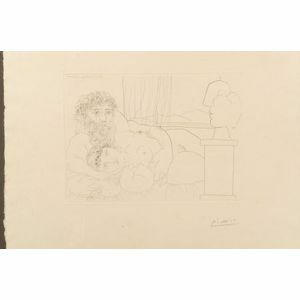 Signed "Picasso" in pencil l.r. Etching and drypoint on paper, plate size 7 3/4 x 10 1/2 in. (19.7 x 26.7 cm), framed. Condition: Margins over 2 1/4 inches with deckled edges, several fox marks, not examined out of frame.